The mercurial Wales back is arguably now more famous for his teary wave goodbye to his adoring fans than for the many brilliant tries he scored in career that no-one is actually sure has ended. Now, the Welsh Assembly Government has stepped in and made August 1st a national holiday called “Shane Williams retirement day”. 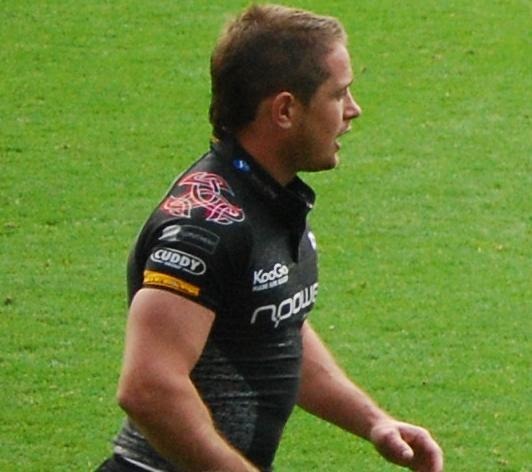 A spokesperson for WAG says Shane will be taken out on to the Millennium Stadium turf every year – where, before a packed house, he can wave goodbye once again, cry a bit, give a choked-up interview and bask in the love and adoration of a small, but perfectly formed nation. Then, after a period of mourning, the length of which will be arranged with the WRU, coach Warren Gatland will call upon him to return to the fold and save Welsh and indeed, British rugby once again. In a similar move, the RFU have decided to have Jonny Wilkinson kept in a large bottle of preservative for all eternity and occasionally fuel rumours in the London press that he will return to stem the tide of under-achievement bedevilling the English game. Shane Williams is a legend of the game, whose reputation belies his diminutive frame and now he has added a new string to his bow as Wales’s own “man for all seasons”. There are many other reasons, but this one trumps them all. Are there parallels between Thatcher and Cameron? “Thatcher is dead, long live Thatcherism” is the toast in a thousand London clubs as hard faced bankers get all dewy-eyed and sentimental about the late Tory leader and the most divisive Prime Minister of the second half of the twentieth century. In common with her acolytes, Cameron and Osborne, Thatcher was quick to give with one hand and take with the other. She reduced the top rate of tax from 83% to 60%, but at the same time got rid of the bottom rate of 25%, making 30% the base rate for everyone. Sound familiar? The same tune was played out with VAT, a tax that disproportionately penalises the poor, she nearly doubled it from 8% to 15% (it later went to 17.5%). Labour temporarily reduced it to 15% again, but true to form the Tories increased it to 20%, despite vehement denials prior to the 2010 election, something which also had echoes in Thatcher’s first election campaign in which she flatly denied that she would double it as Labour accused. 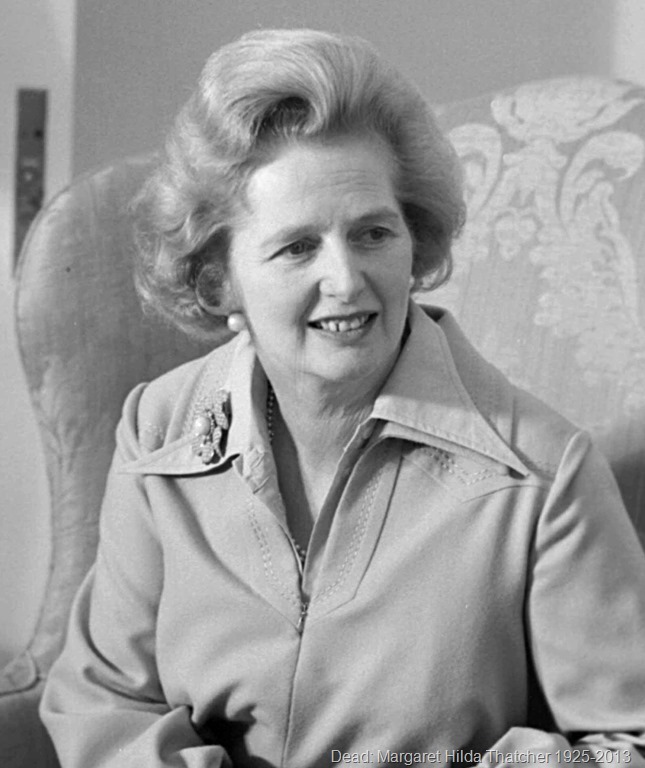 “The net effect of the Thatcher program has been a substantial increase in taxation on virtually all taxpayers.” George Gilder – American Republican author. The exception, of course, being the very highest earners who got massive tax cuts. Another strand of Tory mythology is their so-called economic competence. Let me give you one sentence. Under Thatcher, manufacturing output dropped 30% from its 1978 level by 1983 and unemployment reached 3.6 million. Again this will ring bells with those of experiencing the depredations of the current regime. There are four areas for which Margaret Thatcher will forever live in the consciousness of the working class of Britain: mass privatisation, the Poll Tax and its associated riots, the destruction of whole swathes of British society in her conflict with the miners and the sell-off of council homes. Council house sales have ultimately resulted in homelessness, shantytowns, repossessions and negative equity becoming the norm for millions and house building is now at its lowest ebb since 1924. Social Housing, an idea that gave homes to millions of people who could not afford them otherwise, was destroyed by Thatcher by appealing to the lowest and basest of emotions: greed. Now, most of the sold council houses are owned by private landlords and the tenants, who make up the most vulnerable members of society, are being squeezed by yet another Tory government with the execrable Bedroom Tax. The people who bought their council houses have long since sold them, and saddled themselves with debts. To quote the song, “they started out with nothing and they’ve still got most of it left”. The Poll tax caused massive social unrest and ended in complete and utter defeat for the government, but not before whole sections of British town centres had been laid to waste by rioters protesting the unfair tax. Ultimately, it resulted in Thatcher’s ejection from office, but it revealed just how far she was prepared to go to shift wealth away from the ordinary people of Britain and into the hands of the wealthy. Even today, we have the ridiculous situation where mansions in the West End of London pay only £1200 council tax: if Thatcher could have had her way, that would have been reduced by a factor of ten. There are echoes of this today with the Bedroom Tax. The idea that everyone should pay tax irrespective of their means is having its day again, and once again it is a Tory Government that is doing it. The Bedroom Tax is much more of a stealth tax though, the Tories have learned since Thatcher’s day and they no longer try to bludgeon everyone with their plans. Instead they have introduced it so that the most vulnerable and those least able to fight back are afflicted with this most wicked of taxes. Thatcher laid waste to industrial Britain. As I pointed out earlier, she cut manufacturing output by 30% by 1983 and even today you can visit towns in the Welsh Valleys, the North of England and Scotland that are wastelands where dead-eyed residents eke out a brutal existence. She, more than anyone, gave birth to the desperate situations that the population of these empty towns find themselves in. 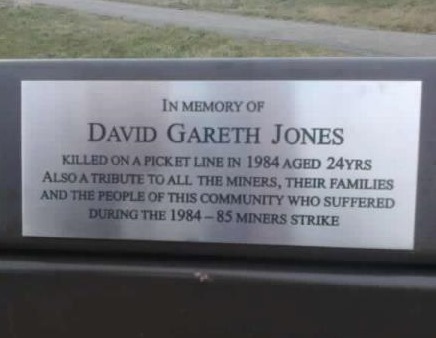 The destruction of the mining villages, the wasting of manufacturing towns and the devastation of what were vibrant, confident and happy communities can all be laid fairly and squarely at the door of Thatcher. She replaced them with yuppies and deregulated financial services that had their inevitable boom and bust at the tail end of the first decade of the twenty-first century. The trillions of pounds that have been poured down these financial drains would have funded the NHS for twenty years, the entire education budget for forty years and the total job seekers allowance budget for five hundred years. Margaret Thatcher conducted class warfare. That is the only way to describe it. It was brutal, primitive and depraved. She destroyed the lives of millions, while enhancing those at the very top of the tree. We are still suffering the massive increases of inequality under Thatcher: in the 1980s the gulf between the top and bottom 20% widened by a full 60%. It is to Labour’s eternal shame that they embraced this and failed to reverse it. It is true to say that there were only minor fluctuations in this gap under Major, Brown and Blair, but they did very little to reduce it significantly. BUT it was Thatcher who created it. This is Thatcher’s true legacy: inequality, devastated communities, mass unemployment, higher taxation for the poor, the destruction of manufacturing and mass social unrest. If we allow Cameron and Osborne to emulate her, then more fool us, and welcome to serfdom. P.S. I’m already fed up to the back teeth with the sycophancy. Give it a rest BBC. Utterly disgraceful that the Labour leadership ordered their MPs to abstain on the Tory workfare bill today. It was an attack on the idea of a honest day’s pay for an honest day’s work, and on the supposed rule of law. Kudos to the 40 or so Labour MPs who voted against, including John McDonnell, Graham Morris, Ian Mearns and Ian Lavery – they did what the Labour party was actually founded to do: represent working people, and fight Tory attacks on them. One lesson from today: we need more Labour MPs selected who actually have a backbone and who are genuinely prepared to fight for working people. Absolutely furious. I understand the reasoning of the Labour leadership, inasmuch as they could not stop the bill, so they may as well gain some concessions, but they sold their compliance too cheaply. This will damage the reputation of the party and allow the forces of reaction to erroneously point out there is little difference between the major parties. To the average person in the street this will cause them to believe that there is no point in voting for any of the parties, because the government always gets in. While this is not absolutely the case, it does undermine Labour’s credibility as an alternative who will look after the weaker members of society. Ed Miliband needs to put out a strong statement today that he will repeal the entire workfare system as a priority when Labour are returned to power. Anything less than this will show him as a weak leader who is kowtowing to the insane press we have in this country. Labour members need to express their concerns on this matter. You can do so here. These are the MPs who voted against the government’s workfare bill. Credit to them for defying the Labour leadership. I’ve just had notification from Orange that my two accounts with them (mine and my son’s) are going up from April “because of inflation” by just over 3%. On the surface this seems fine – that’s roughly the rate of inflation, but if you consider that a large element of the bill goes to paying for the capital cost of your phone which is a fixed point in time cost, it suddenly becomes unreasonable. This is clearly illustrated by the fact that my SIM only account has gone up by £0.22 per month, but the phone and SIM account has gone up by £0.84 per month, despite the fact that nearly £20 (the difference between the price of the SIM only account and the SIM plus phone account) of the cost is simply paying for the original cost of the phone, which in itself is extortionate (£20×24=£480 – you could actually buy a SIM free phone of the same model for about £200 retail price, and I’m sure Orange buy them for far less), even accounting for interest. Interest rates haven’t gone up, so the cost of money to them is no different, which means they are increasing prices to secure additional revenue to their business and the consumers have no choice but to pay it. (Clause 4.3.1 has now changed to disallow the customer from cancelling their contract if “we give you written notice to increase the Charges (as a percentage) by an amount equal to or less than the percentage increase in the All Items Index of Retail Prices or any other statistical measure of inflation published by any government body authorised to publish measures of inflation from time to time, and published on a date as close as reasonably possible before the date on which we send you written notice”). These are small amounts admittedly, but given that I’m contractually obliged to pay them, as are the millions of customers they have (in 2009 Orange had revenues of €5.1 billion), then you have a huge inflow of capital into the phone service provider for no extra service and predicated on no additional costs. Obviously, they say that the cost of their business has gone up by roughly that of the increase in RPI, so they have to increase their revenue by a similar amount. This means there is no linkage between the charges for their services and the cost of their business. Instead, they have linked the costs of their business to the revenue they receive. If I had bought the phone in a separate deal on hire purchase, or from a personal loan, I would not expect the monthly cost of my loan to increase to pay the increased costs of the phone service provider. So, why is the reverse true when the phone is bought through the service provider? This, more than anything, illustrates that modern capitalism is cost based, not service based and gives the lie to the notion that private enterprise is more efficient than public enterprise. In other words, you don’t pay a fair price for what you get; you pay a price determined by the needs of the business. The press have been working hard to undermine the Liberal Democrats in the run up to the by-election, but the anti-Tory feeling is running high. The electorate seems to have turned against the government and their divisive and failing economic policies and it may well be that despite a massive amount of money being pumped into Eastleigh by the Tories, they will lose the by-election in what looks like a natural constituency for them. UKIP look set to do very well indeed and may push Labour out of 3rd place (which will, of course, become the story of the day). The pre-election focus on Clegg##Q##s ever changing position about whether did or did not know about his touchy feely party official, with the BBC emphasising that he##Q##s "changed his story" several times, will bring a lot of voters to mistrust the party. Also given the reason for the by-election and the natural conservative nature of Eastleigh, you would have expected the Tories to make hay, but they are only just hanging in there and may see their proportion of the vote fall substantially with UKIP being the main beneficiaries. Undoubtedly, the media want Clegg to lose. They also want Labour to suffer a reverse by falling to 4th place. UKIP are the media darlings at the moment and seem to be the main recipients of the British love of a protest vote. These are the headlines I##Q##m expecting. 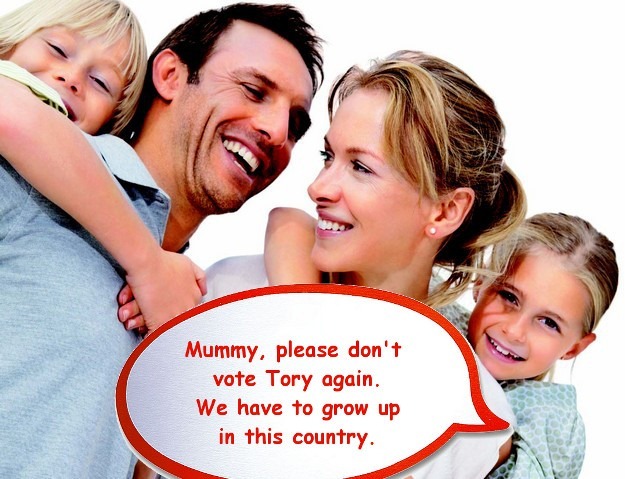 Personally, I will draw comfort from an increased Labour vote and a decrease in the Tory and Liberal vote. I will not be happy with the neo-Nazi UKIP pulling in the votes from a discontented, but confused, electorate. Governments don’t really pay back debt. They just roll it over. Economic growth, can reduce the % of debt to GDP, making previous borrowings increasingly less significant. The UK has debt exceeding 100% of GDP in 81 of the last 170 years, there has never been a crunch time, when it suddenly all had to be paid back. What tends to happen is this: we borrow, GDP increases, borrowings become a lower proportion of GDP than when first borrowed. Talking in absolutes – pounds instead of percentages – doesn’t do anything to throw light on the debate, because of this fact. This, of course, is all predicated on economic growth. If that doesn’t happen, then the debt as a proportion of our GDP doesn’t reduce. This is why our debt is currently spiralling out of control – because we don’t have growth. Growth requires investment. Cuts to government expenditure have a multiplier effect. So if you cut a pound from expenditure, you reduce GDP by between £1.20 and £1.60. This is a little simplistic, but it serves the purpose. In effect, the Government with their austerity policies are the architects of our current economic malaise. The worrying thing is THEY KNOW THIS. So you can only assume that they are cutting for another reason. Conjecture about this is fruitless – there could be a million and one reasons for wanting to stop growth and place the burden on the working people of Britain. My own favourites are: (a) growth is, or soon will be no longer sustainable, so the government is preparing the way for an economic apocalypse, or (b) they are taking the opportunity of our recent crisis to entrench the pre-eminence of the “haves” at the expense of the “have nots”. Either way, we’re paying and they’re not. That has to change, otherwise social unrest will become a highly visible, daily component of life in Britain. This is a dangerous and highly volatile time – the dam which filters working class aspiration is creaking and if it breaks in an uncontrolled manner, we could see all kinds of weird political results. People look for scapegoats when they are under pressure – it is natural to assume that you’re not to blame – and when an easy target is shown to you by a charismatic leader, quite often people buy into it and react accordingly. I really fear for the future if the British people give in to the siren calls of prejudice, because in truth, we really are “all in it together” (the elite excepted) and together we must stand. Don’t be fooled by the side shows of Europe, so-called Muslim terrorism, greedy Trade Unions, corrupt politicians that are “all the same”, work-shy disabled and lazy benefit claimants. They’re grabbing your attention, diverting your eyes from the real culprits: the rich and their unending war on those of us who make everything, build everything, and create everything. Never has there been a time in my life when the old Trade Union adage of “Together we stand and divided we fall” been more true. It really, really is us versus them now. Imagine a world where space travel, cellular regeneration, perfect engines, space travel, aliens, reincarnation and a host of other marvels are common place, but no-one but an elite few know about them. Amongst these elite few are God, Satan and group militaristic human Illuminati who are constantly playing a game with Satan over how the world is ordered. Leonardo “Bingo” Ashman, a small time political activist eking out an existence in Brighton, lives in such a world, and who knows, maybe we do too. What he doesn’t know is he is very special and when he comes into possession of the Golden Cube, he is cast into a new and strange world with his travelling companion, a cellularly regenerated Queen Elizabeth II. The adventure leads them all over Western Europe and eventually to the Scottish Isles where the fate of all mankind rests in his hands. Taylor’s debut novel is well paced and at times exciting. He writes with enthusiasm and no little humour, pitting Bingo against the odds; the fate of the world to be decided by his actions. At times the action does flag a little and while his dialogue is first rate, sometimes he can be a bit sparse with the narrative. Then there’s the matter of editing. Unfortunately, the novel has not been professionally edited and sometimes it shows – irritatingly so – with simple spelling errors, typos and grammatical errors. There are a number of sentences that actually do not make any sense whatsoever. This is the biggest pitfall for self-publishers and something I would urge anyone thinking of breaking out of the straightjacket imposed on the publishing world by the mainstream publishers to seriously consider: it will be a couple of hundred quid well spent. Having said that, I enjoyed the novel immensely and read it over three days during the Christmas period. It is very nearly un-put-down-able… a real page turner, which shows Taylor has the talent for storytelling, he just needs to get the advice of professionals to polish his work. If you are prepared to suspend disbelief, enjoy conspiracy theories mixed in with a bit of science fiction, are not offended by ribald humour involving the Queen, and not too irritated by silly grammatical errors, you should seriously consider adding this to your reading list. Matt Taylor needs to be signed up by a publisher. Quickly. 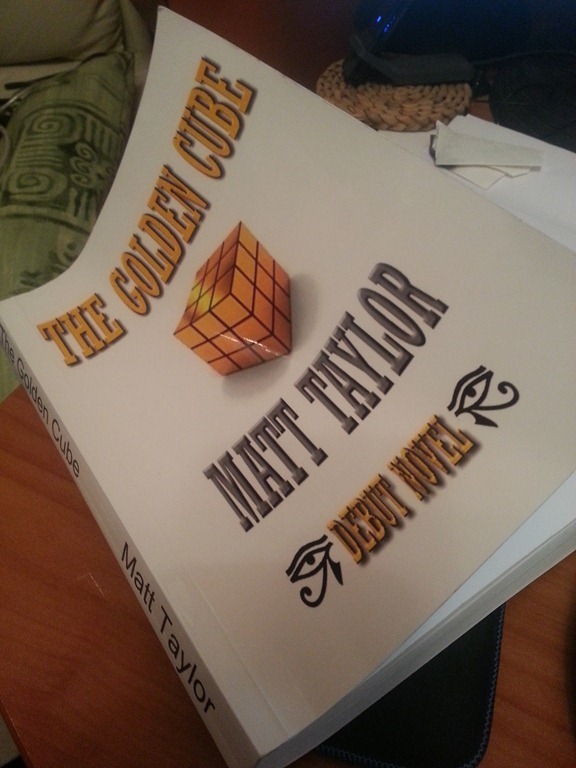 Addendum: Matt tells me that his book is still in the proofing stage, so the copy I had was pre-proofread. Hopefully some of the errors I pointed out will be ironed out in the final version. One of the things glossed over in the headlong rush by the OBR to downwardly revise nearly everything yesterday is their unemployment forecast. Probably because this is upwards. Both the ILO and the claimant rates are expect to rise next year. Currently we are 8.1% and 1.53 million claimants. This is expect to rise to 8.2% and 1.66 million in 2013, then 8.2% and 1.69 million in 2014. Obviously they expect this to right itself and start coming down in 2015 – but then they won##Q##t be in charge then, so it probably will. When they are forecasting a rise in unemployment, even by their own measures, then you have to start worrying. While I don##Q##t have any faith in the forecasts of this patently useless group, it##Q##s mostly because when they say things will be bad they are usually worse, that I am really concerned about this. I fully expect them to revise again in March 2013. They##Q##ve got it wrong every time and this is because the whole government strategy has failed to perform as they expect it to. Somebody defined madness as carrying out an action, then repeating it expecting to get a different result. Fortunately, the government has changed track slightly by putting a stimulus into place – they did the same in the last quarter and it lifted us out of recession. They knew this would work all along, but chose not to do it. The only conclusion you can draw from this is they don##Q##t really care about all the suffering they have inflicted, because it##Q##s all part of an ideologically motivated plan to roll back the state and make it a playground for the very rich, while the rest of us suffer.